The ES semi-hollow body guitars from Gibson first appeared in 1958. Since then the ES 335 'Dot' has been a must-have guitar in every arsenal.. The ES semi-hollow body guitars from Gibson first appeared in 1958. Since then the ES 335 'Dot' has been a must-have guitar in every arsenal. The Epiphone Dot ES-335 makes this iconic guitar available to players of any skill level or budget. The Dot 335 features twin Humbucker pickups for sweet, gnarling tone and the Tune-o-matic bridge/Stopbar tailpiece combo offers great tone and sustain, all wrapped up in a vintage-style body. 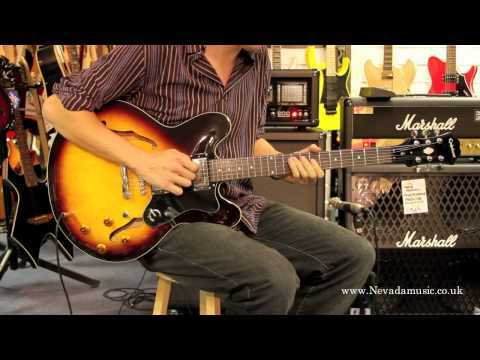 The Epiphone Dot ES-335 delivers sweet justice to the original Gibson ES335 at a much more affordable price point. Courtesy of a Slimtaper 'D' neck profile, Hard Tail bridge and double-humbucker pickups, the Epiphone Dot sounds and feels surprisingly similar to their vintage counterparts. 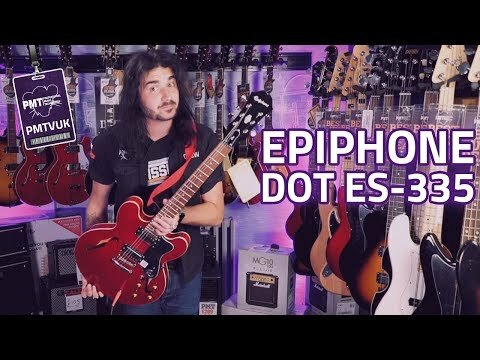 The Epiphone Dot 335 is the perfect choice for beginners looking to pick up their first jazz-style guitar with this affordable semi-hollow classic. 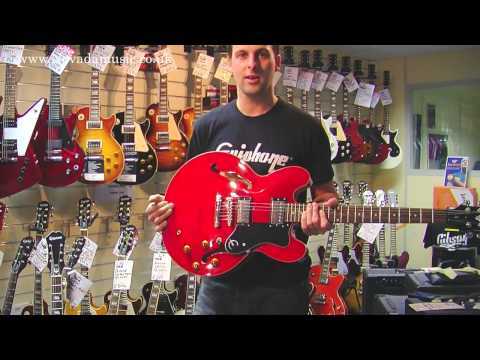 Or, if you feel like modding and hot-rodding to make it your own, Epiphone guitars are a great choice that won't break the bank.